What is intended to make sports more fair could, in fact, freeze some women out of competitions. Woman runners who compete at the highest levels of the sport will soon have to contend with a new rule: the amount of testosterone in their blood must never rise above 5 nmol/L. This decision, announced last week by the International Association of Athletics Federations (IAAF), is intended to prevent athletes from benefiting from what some see as an unfair advantage but will prevent several elite woman athletes from participating in their sport. But what really happens is that some women will be faced with biological constraints that could be incongruous with their gender; women with a blood-testosterone level higher than the new limit must choose whether to hormone supplements to maintain a lower level of testosterone, or to compete as a man. What is intended to make sports more fair could, in fact, freeze some women out of competitions. The organization arrived at that 5 nmol/L limit because that’s three times what any woman would have naturally, the officials note, unless she had “Difference of Sexual Development.” Men with lower levels of testosterone have about 1.5 times the IAAF’s new limit. Some women are simply born with higher levels of testosterone. It can be part of a medical condition, but most of the time it’s just by chance, or genetics. 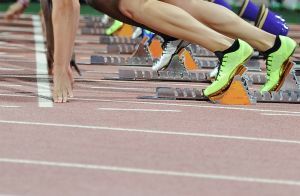 The IAAF’s ruling is based on a scientific study that concluded that women with higher levels of testosterone have a natural advantage over other athletes in some events, and the IAAF argues that its new restrictions will level out the playing field of sports. “We want athletes to be incentivized to make the huge commitment and sacrifice required to excel in the sport, and to inspire new generations to join the sport and aspire to the same excellence,” IAAF President Sebastian Coe said in a press release. Coe seems to think that women won’t want to become athletes if the playing field isn’t level — that is, if they would have to compete against women with high levels of testosterone. But. BUT. The study cited by the IAAF found that testosterone had a greater effect on athlete’s performance in events that won’t be affected by the upcoming restrictions, WIRED reported. Plus, women’s results, no matter their testosterone level, didn’t vary all that much compared to the difference between men and women for the same event (a man will pretty much always run a faster mile, for example). Ultimately, this is a pretty weird way to impose biological limitations on an athlete’s gender identity. It also likens some women’s natural (albeit atypical) sexual development to doping. It’s wouldn’t be the first time — South African runner Caster Semenya of South Africa performed so well in the 2009 World Athletics Championships that some questioned whether she ought to be eligible to compete as a woman, so she was subjected to controversial and humiliating gender testing. Spoiler: she is eligible, though she won’t be once the new IAAF rule goes into place in November. If the IAAF wants to truly make running fair, there are so many better ways to do it. It could improve access to athletics for disadvantaged children by sponsoring youth leagues or scholarships. It could help fight the stigma facing transgender athletes who want to compete according to their gender identity, a whole other controversy going on now. What it should not do? Impose arbitrary limitations that will do nothing but punish incredible athletes for parts of their biology that are out of their control.